Tweeple feel that this Kajal Aggarwal starrer is a maverick attempt at filmmaking. There can be no denying that 2017 was a pretty good year for actor Kajal Aggarwal. In August received praise for her performance in Nene Raju Nene Mantri and this gave her fans a reason to rejoice. Also featuring Rana Daggubati in the lead, it did well at the box office. Thereafter, she tasted success with Vivegam and added another feather to her cap. Her last release of the year was Mersal which did well at the box office and became a national sensation for a variety of reasons. Featuring Vijay in the lead, it proved to be the perfect Diwali gift for ‘Thalapathy’ fans. Now, it seems that 2018 too has started on a good note for her. Her first release of the year AWE hit screens today. And, it has received the thumbs up from moviegoers. Most of them, have really liked its storyline and climax. The consensus is that AWE is not just a film but a genre in itself. Go without expectations & think out of the box. Title cards daggari nundi antha kothaga undi. Refreshment movie for industry. Hatsoff to @NameisNani for his confidence & guts for taking up this & to put his money in it. #Awe #AweReview #అ! #awereview 1st half done. Excellent screenplay and direction by #Prashanthvarma. @NameisNani #awe some choice for making film happen. 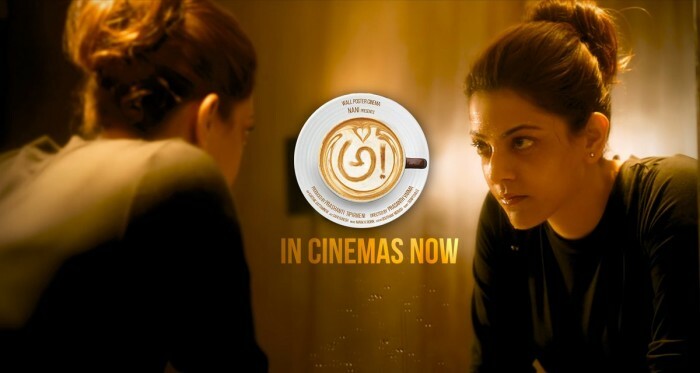 In case you were not aware, AWE has been directed by Prashant Varma and produced by actor Nani. Besides Kajal, it also has Regina and Nithya Menen in key roles. Sometime ago, Nani had said that he decided to produce AWE as he wanted to give back to the industry that has made him a star. Everything I have earned so far is through cinema. I want to give back to the same cinema. I told myself ‘if I don’t support such interesting story ideas, then we won’t be able to see different films getting made in the Telugu film industry. A lot of people would think that I turned producer to make profits. Honestly, it’s not easy to make a film today. After producing Awe, my respect for other producers grew manifold,” he had said. Well, we hope that AWE does good business at the box office and earns plenty of laurels.